So it’s been over 13 years since I first started doing yoga and I can’t imagine life without it! 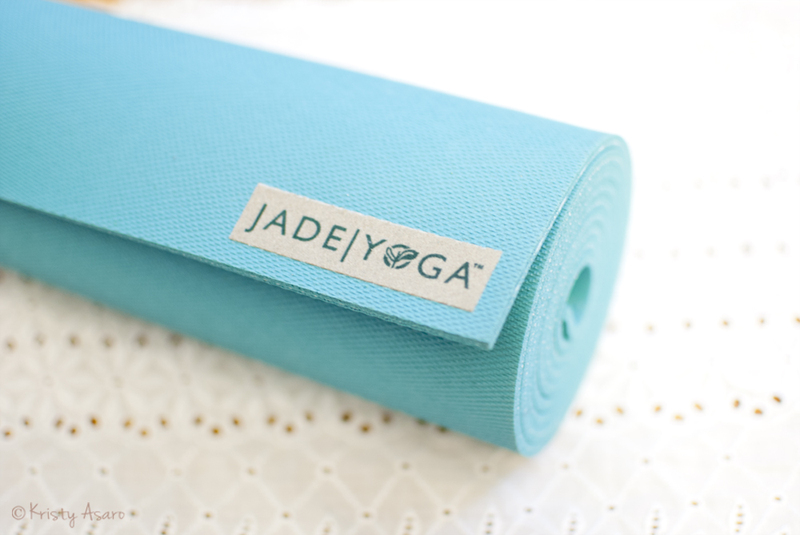 Yoga has taught me so much about life and the spiritual world, and has brought strength both to my body and mind. 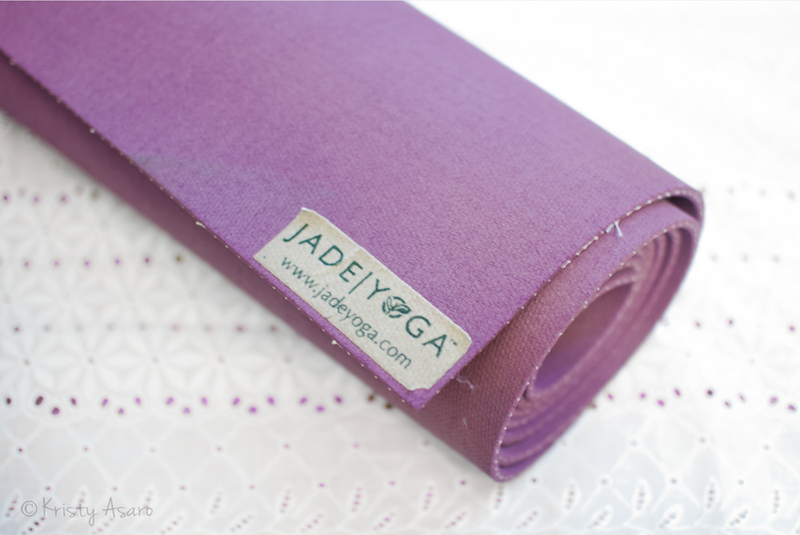 I am writing this post because I am sooo thrilled to have just received my new mat! Yes I know it may seem silly to get this excited about a piece of rubber, but once unrolled it turns into my “sacred space.” I have been using a Jade Harmony mat for about 9 years and it has been with me through a lot! It has journeyed with me though many ups and downs and the most memorable being the amazing year doing my 200hr Yoga Teacher Training with Yoga Spirit! Sadly it is looking really worn and starting to slip. By slip I mean buckle up under me, which is most likely from being so dirty on the bottom because my hands and feet still grip okay on the top. I could probably wash it but I wanted to start a new and fresh chapter. 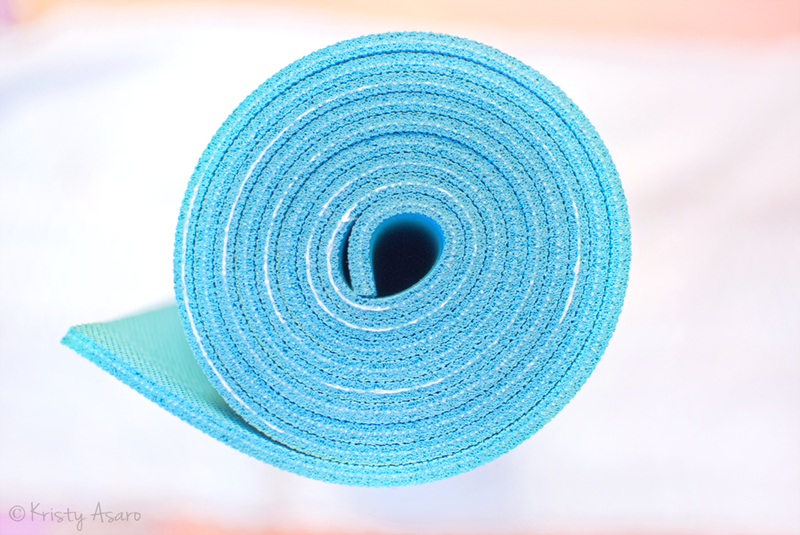 I spend many many hours on my mat, so looking down and seeing a new color will be a reminder of that! Also I don’t have the heart to toss my old one away so I will keep it as a backup. 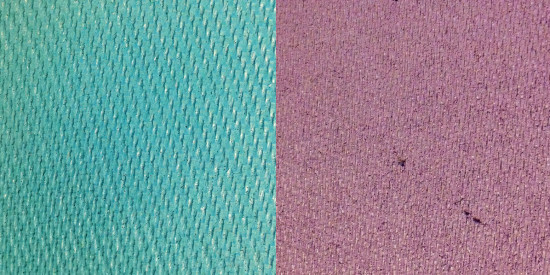 Closeup of Texture – As you can see my new one (left) has lots of grip but my 9yr old (right) has worn down. Seeing as this one clearly lasted a loooong time it was an easy decision to purchase another Jade! 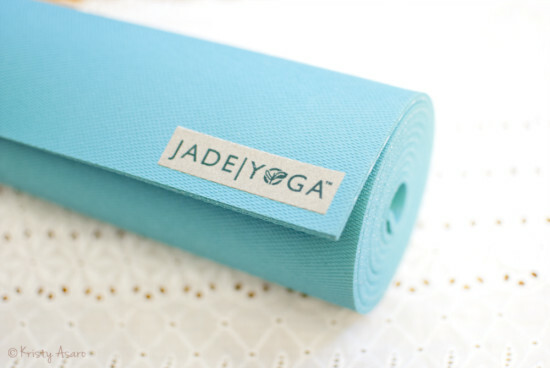 I also lovvvve the bright happy teal color and as a bonus $5 from the purchase supports Ovarian Cancer Awareness. 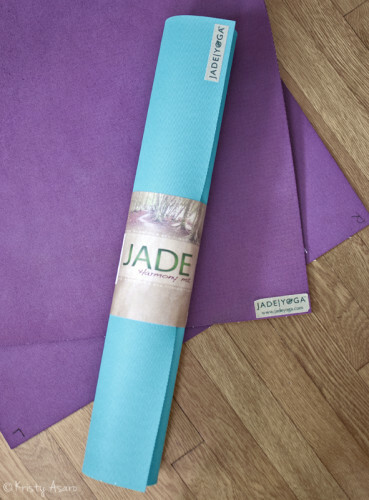 They also plant a tree with every mat purchase! Growing up by the ocean I have always been inspired by the water and all of its inhabitants. 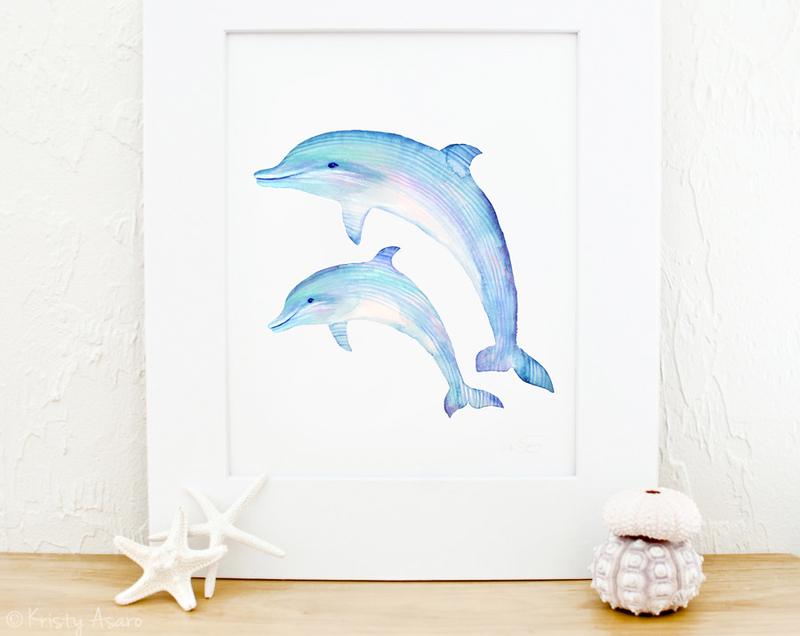 I currently have a collection of sea animal paintings and cards in my shop. 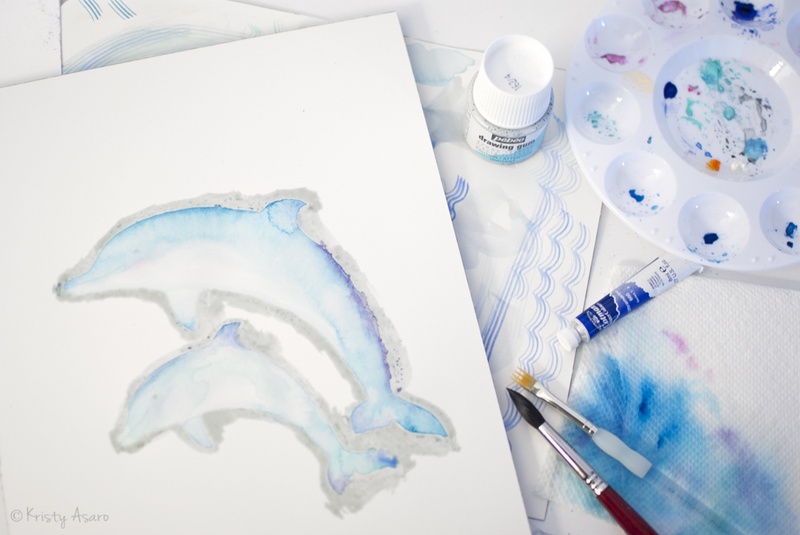 This weekend I had a request for some dolphins, so here they are! These cuties are available as prints but I will also be making them into cards.